People who are in the process of applying for a bond and buying a house should insist on a beetle certificate which covers all the different types of wood destroying animals. A concerning factor of many types of certification is that they do not need to include the conditions of dry rot or other wood damaging organisms. By not having these things mentioned in the certificates will cause the new home owner to not be able to claim property damages that has been caused to furniture, carpets and interiors of the property. In this article I will give a bit more insight on the importance of using a proper pest control inspector. It is thus clear that people should make use of a South African Pest Control Association registered inspector to do a full inspection of the purchased property. 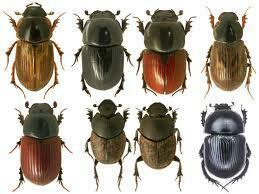 People should be aware of the fact that attorneys will not mention that you need a beetle certificate. The will say that you only need a P number (registration nr. ), but that alone will only give you cover for fumigation, pest control and weed control. Professionals in the trade have mentioned that one can only obtain the proper certificates by making use of a registered SAPCA wood borer inspector. Home buyers should be aware that self-styled beetle inspectors will only look for two types of beetles, they are called Hylotrupos bajalus and Oxypleuris nodieri, and they have no intensions to do look for bugs that may cause damages to your dry rot subjects in the house. Damages that may occur to floors and carpets can cause a lot of unpleasant thing for the home owner, seller and the real estate agent. It is important to know, that if you are a private owner of the property then you will not be able to make claims in any above mentioned damages has occurs in the house. This has been stipulated by the new Consumer Protection Act. You can only make a claim if you are buying property to develop and re-sell the property and if you can proof that you are a property developer. 1) It is important to read understand the deed of the sale. 2) It is important to insist on a beetle free certificate. 3) Make use of a SAPCA registered inspector. 4) Make sure that the certificate is not only a P number. It is thus clear that it would be a wise decision to make use of the above mentioned advice in order to avoid future problems for your house and you. It is good to know that you will be able to claim for damages caused by these types of insects.